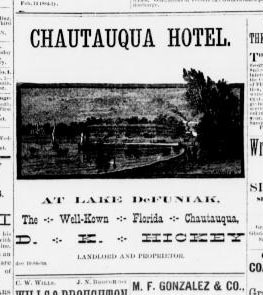 These advertisements for the Chautauqua Hotel appeared in the Pensacola Commercial. The date of the ad above was December 3, 1884, before the first Florida Chautauqua Assembly. The date of the ad shown below appears to be March 8, 1885.